Known as the ‘City of Nizams’ this 400-year-old city has re-invented itself over the years, but it’s rich culture, heritage, delectable cuisines and grand architecture are a testimonial to its glorious past. 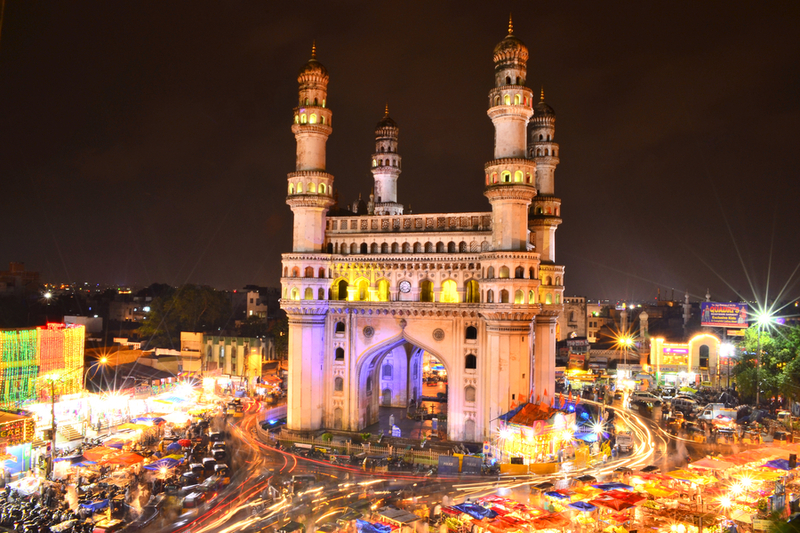 Recognized for its hospitality, Hyderabad is a place where you can find the perfect amalgam of the north and the south. 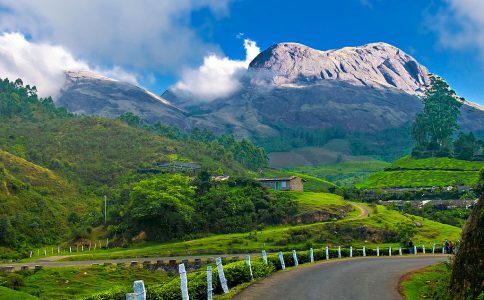 However, during the weekends if you crave for a refreshing getaway to break the monotony, fret not, because getaways near this city are aplenty, offering numerous temples, forts, wildlife sanctuaries and hill stations. This weekend, follow our list of the best getaways near Hyderabad and travel beyond the borders of this beautiful city. 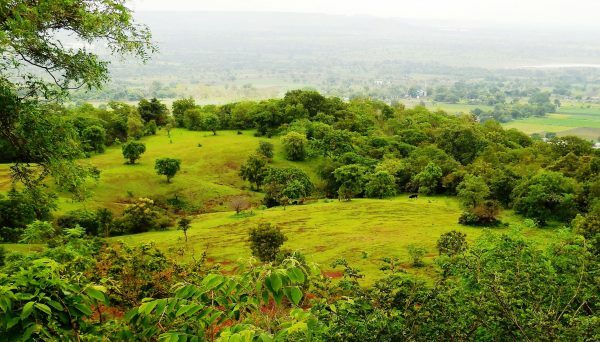 A trekkers paradise, this hill station is nestled atop the Eastern Ghats and has unparalleled natural beauty. A trek through the jungles of Anantagiri will make you feel connected to nature where you can enjoy the chirping of exotic birds. One of the major tourist attractions are the Bora caves located in the Araku Valley. 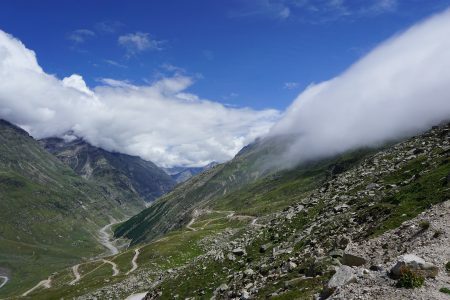 This natural wonder is spread across an area of 2 sq km and lies at the height of 1400 m above sea level. 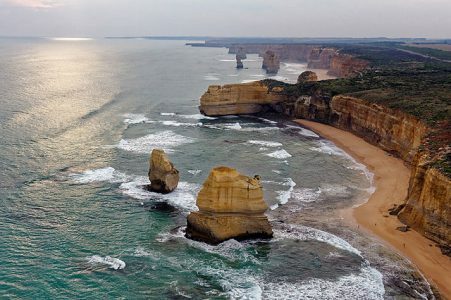 Another popular tourist destination is Dolphin’s Nose, a huge rocky hill, resembling the nose of a Dolphin providing a gorgeous view of the vast expansive sea. Top Attractions: Katiki Waterfalls, Bora hills, and caves, Araku Tribal Museum, Tyda Park, Dolphin’s Nose, Bhavanasi Lake, Padmanabha Temple. 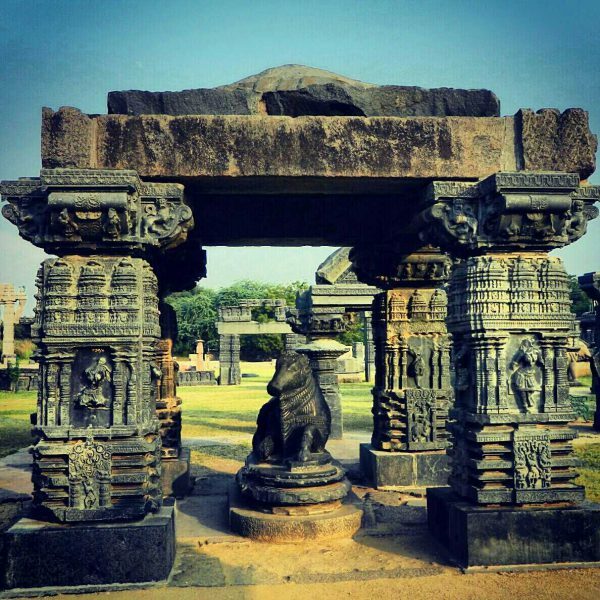 Ancient and momentous, this is what defines this medieval city of Warangal that was once the capital of Kakatiya dynasty. Famous for its temple architecture and majestic forts, it is a top getaway destination that takes you back to the era of kings and queens. The Thousand Pillar Temple, supported by a thousand pillars, is tucked away in the town of Hanamakonda attracting the most number of tourists. Another prominent landmark is the 12th Century Warangal Fort that exemplifies the architectural acumen of the Kakatiya Dynasty. The fort also provides rappelling and rock climbing facilities that attract adventure enthusiasts. How to reach: NH 163 connects Warangal to Hyderabad. 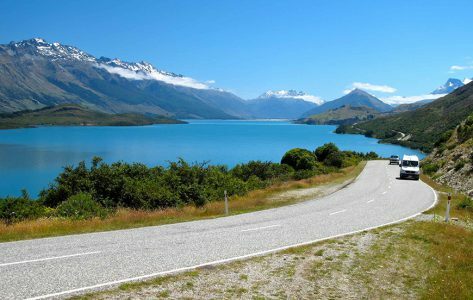 Hire a self-drive car rental in Hyderabad and head East on the Hyderabad-Janagam Highway. After Kadipikonda Bridge reach the Khammam Road. After a few miles connect to Kareemabad road and continue to reach Warangal. Top Attractions: Warangal Fort, Thousand Pillars Temple, Ramappa Temple, Ramappa Lake, Pakhal Lake, Kakatiya Musical Garden, Siddeshwara Temple, Eturnagaram Wildlife Sanctuary, Kakatiya Rock Garden. Manu Restaurant – This joint serving Indian and Asian cuisines, only serves Vegetarian food. The food is delectable and tasty. The staff is friendly, and the restaurant has a great ambiance. It is located on Jayaprakash Narayan Road, Girmajipet, Warangal. Green Park Biryani House – As the name suggest this restaurant is famous for its lip-smacking and tasty biryanis. The prices are reasonable. It is located along the Hyderabad Main Road, Subedari, Warangal, Choti Masjid, Opposite Censor Shopping Mall. 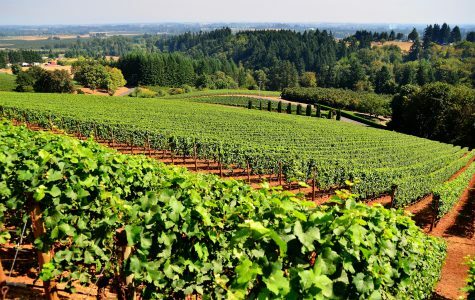 Guess these weekend getaways near Hyderabad with Avis Travel Quiz. Formerly known as Kandanavolu, Kurnool is a city steeped in history and has a rich and varied heritage. There are many ancient monuments, temples and interesting tourist destinations in Kurnool, including the ruins of glorious forts that were constructed during the reign of the Vijayanagara Empire. 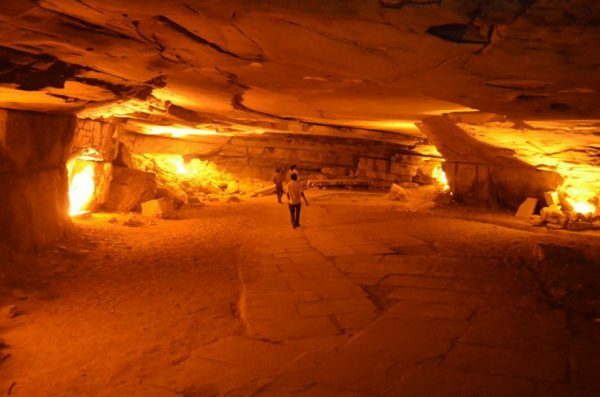 The main attraction in Kurnool is the Belum Caves that are 3200 m long making it the second largest cave system in India. Numerous pathways, caverns, and passages are formed by what were once streams of freshwater. These caves also have beautiful stalactite and stalagmite formations creating intriguing and baffling shapes which will surely leave you awestruck. Distance: 213 km, 3 hr 40 min drive from Hyderabad. How to reach: National Highway 44 connects Kurnool with Hyderabad. Take Esamia Bazar road to NH 163/65 in Esamiya Bazaar and then follow NH 44 up-till Bellary road, Kurnool. Car rentals in Hyderabad are easily available making it easy to reach Kurnool via road. Lotus Restaurant – Located Opposite Tazeen Women’s World, Abdullah Khan Estate, Haji Gulam Hussain Arcade, Kurnool, this place serves delicious and sumptuous food. Both vegetarian and non-vegetarian food choices are available. Aahar Fine dining – This is a pure vegetarian restaurant that serves tasty vegetarian spread. The prices are reasonable, and the service is good. It is in Bhagya Nagar, River View Colony, Kurnool. Described by UNESCO as “Austere and Grandiose Site”, this World Heritage Site located near the Tungabhadra River continues to be an important religious and historical center of South India. 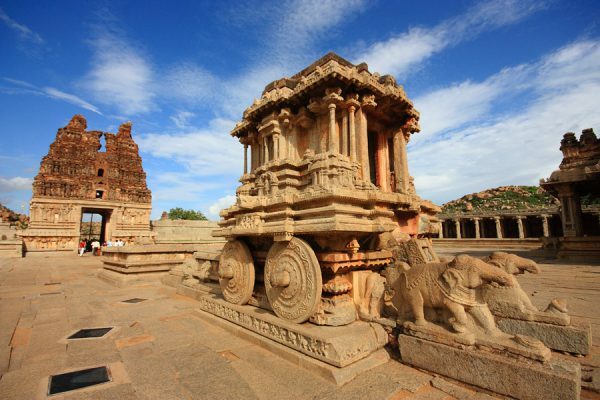 Hampi has numerous ancient temples from the medieval era that spread out across miles. The most impressive structure in Hampi is the Vithala Temple which has a huge stone chariot at the center of the temple complex. Another major attraction in Hampi is the Monolith Bull that represents Lord Shiva’s ride Nandi and is almost 10 feet in height. Hampi is also a rock climbers paradise as the landscape is littered with huge granite crags and boulders that are perfect for rock climbing. How to reach: Reach Hampi via NH 44 and Raichur road. Take the Sultan Bazar Junction road and then LB stadium road to connect to NH 44. Continue on NH 44 and then take NH 167 to Bachi-Raichur road. Reach Hampi via Raichur road. Taking self-drive cars in Hyderabad is the most feasible option as the roads are smooth and the drive is comfortable. Top Attractions: Virupaksha Temple, Vithala Temple, Hampi Bazaar, Elephant Stables, Queen’s Bath, Lotus Palace, Matanga Hill, Monolith Bull, Zenana enclosure, Daroji Bear Sanctuary, Lakshmi Narasimha temple. Suresh Restaurant – Located in Hampi Bazaar this restaurant serves North Indian, South Indian and western cuisines. The food is tasty, and the staff is very friendly. The prices are pocket-friendly. Hampi Roof Restaurant – This restaurant serves Indian, Tibetan, Israeli and Asian Cuisines. As the name suggests, it sits on the roof of a building and provides a unique atmosphere. The food here is very hygienic and delicious. The service is also very prompt. It is in Main Bazaar, Hampi. 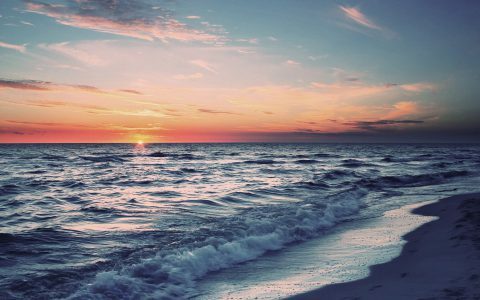 Suggested Read: 5 Getaways near Chennai that are perfect for a weekend road trip! 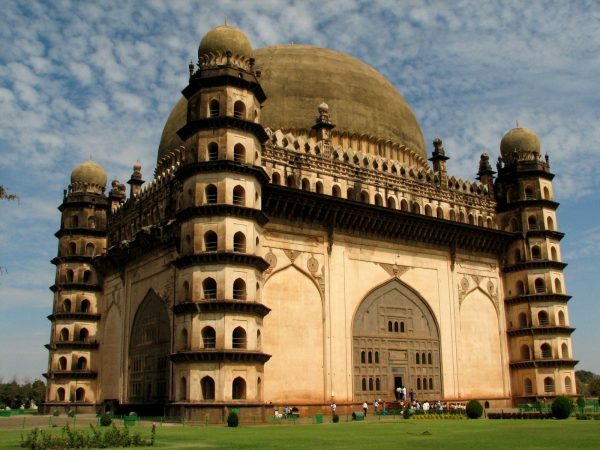 Formerly known as Vijayapura, Bijapur is famous for Gol Gumbaz which is the largest dome in the world. The Gol Gumbaz has a whispering gallery where even minute sound can be heard clearly up to 40 m. The central chamber is an echo chamber where a sound is echoed 7 times. The Gol Gumbaz complex includes a mosque, the ruins of a guest house and a Naqqar Khana. Ibrahim Rauza is another top attraction of Bijapur and is famously called as the ‘Taj Mahal of the Deccan’. The entire structure rest in the middle of a walled garden and an ornamental pond sits in the compound. How to reach: Take car rentals in Hyderabad and catch NH 65 from LB stadium road. Follow NH 65 to Red Hills. Get on Nehru Ring road and take NH 150E. Now take the Ganagapur road to NH 50. Connect to Vijayapura-Sindagi Road to reach Bijapur. Top Attractions: Gol Gumbaz, Ibrahim Rauza, Jumma Masjid, The Citadel, Sat Manzil, Lotus Lake, Bijapur Castle, Uppali Buruz, Archaeological Museum of Bijapur. Sigdi – One of the best restaurants in Bijapur, it offers sumptuous food that is very delicious. It also provides buffet services that include multiple preparations. The ambiance of the joint is very contemporary and calm. It is located on 1st Floor, Kulloli plaza, opposite SBI, Karnataka Housing Board colony, Solapur Road, Bangaramma Sajjan Campus, Bijapur. Bengaluru Restaurant – Located on the M.G road, Bijapur. It provides tasty South Indian food as well as North Indian cuisine at very reasonable prices. The ambiance is cozy, and the service is prompt.